Zunsport Grilles are designed to both style and protect. Their superbly engineered tailored grille sets subtly enhance your vehicle's appearance, whilst also protecting your vehicle from ingress of road detritus which can cause damage to heat exchangers. Zunsport Grilles are made from 316L Stainless Steel. They are not coated but are electro polished to provide a long lasting bright finish. Washing your grilles at the same time as washing your car is the only maintenance required, and because there is no coating there is no flaking, chipping or corrosion! They are also available in black; made to the same specification but then coated in a black polymer. This has the advantage that if the polymer takes a big hit from road debris it will shrink back around the metal, and because the metal is stainless steel there will not be a bleed - this ensures that a black Zunsport grille will always look black! 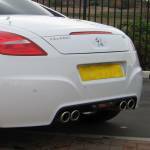 Zunsport Grilles are manufactured to extremely high standards. In fact, they are so confident in the quality of their product that they offer a guarantee for the lifetime of your vehicle! 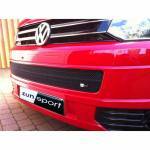 All Zunsport Grilles can be easily fitted, usually in under an hour. You can choose to do this yourself, or speak to one of our Outlets about providing a fully fitted service for you. Once in place, Zunsport Grilles will fit precisely to the contours of your vehicle, and will be safe and secure.